Hadassah-Brandeis Institute’s Latin American Jewish & Gender Studies project features a conversation Feb. 13 among the Boston area’s Jewish Latino clergy, moderated by Dr. Dalia Wassner. Latin American Jewish clergy have been working in the United States since its first students graduated from Seminario Rabbinico Latinoamericano in Buenos Aires. The Seminario was founded in 1962 by American rabbi Marshall T. Meyer. Dr. Dalia Wassner, director of Hadassah-Brandeis Institute’s Latin American Jewish & Gender Studies, has assembled a stellar panel of Latino Jewish clergy who will discuss their experiences in Boston-area synagogues. Cantor Elias Rosemberg of Temple Emanuel was the first cantor to receive smicha, or ordination, from Seminario in 1994. The Buenos Aires native had been singing in synagogue since the age of 11 and went on to sing at the German-Jewish synagogue in Buenos Aires. When he was 21, Seminario opened a cantorial school. “I always knew there was something special about singing in the synagogue, and my calling as a cantor came to me in my early 20s,” he told JewishBoston. Rabbi Claudia Kreiman grew up in Chile with Argentinian parents. Her father was the Santiago Jewish community’s head rabbi throughout her childhood, and her mother was a Jewish educator. The family moved back to Argentina when Kreiman was 18. Kreiman has been at Temple Beth Zion since 2007, and will become the senior rabbi there this summer. Kreiman was not available for an interview but sent extensive biographical information to JewishBoston. She wrote that growing up under the repression of the Chilean dictatorship inspired her to work for social justice at an early age. Personal tragedy also contributed to her instinct “to repair the world.” In 1994, her mother, Susy Wolynski Kreiman, was killed in the Asociación Mutual Israelita Argentina—the AMIA Center for Jewish life. 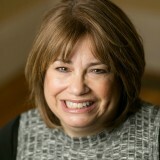 Afterward, Kreiman lived in Israel, earning a master’s degree in Jewish education and rabbinic ordination from the Schechter Institute for Jewish Studies. Rabbi Sonia Saltzman grew up in Santiago, Chile. She received her ordination from Hebrew College’s rabbinical school and recently retired as the rabbi at Ohabei Shalom. Saltzman, who came to her Jewish education relatively later, learned to read Hebrew in her mid-30s. She further distinguishes herself as a first-generation Chilean. Her mother came to Chile from Germany just after Kristallnacht when she was 8 years old. Her father, a Russian Jew, made his way to Latin America through China. Saltzman recalled that growing up in Chile, there was not a Spanish-speaking rabbi in her community. “I grew up with a rabbi who was a Holocaust survivor and gave sermons in German, which I didn’t understand,” she said. “I didn’t go to a Jewish day school and didn’t know the Hebrew prayers.” Saltzman’s father took it upon himself to remedy the situation and brought a Spanish-speaking rabbinical student to engage first-generation Chileans. That seminarian was Rabbi Claudia Kreiman’s father from Argentina. “It was the beginning of a community that would become relevant, and I’m that transition,” Saltzman said. Find more information about the event, “Latin Jewish Clergy: An American Conversation,” here.